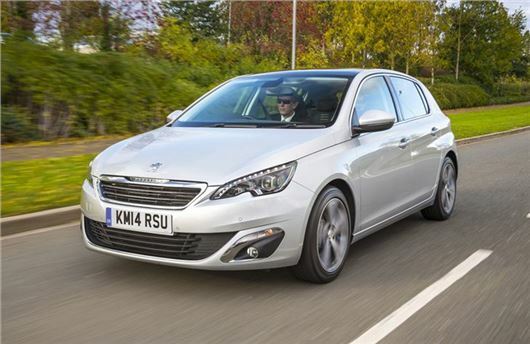 UK Car Discount is offering more than £6000 off some Peugeot 308 models. All come with manufacturer warranty and breakdown cover. Free delivery to your home address in mainland UK is included. Pay a small deposit to secure the car and the balance after delivery once you are totally happy. New Peugeot 308 Allure models add the following to the Active model: Front parking sensors, rear parking camera, folding door mirrors, front fog lights and LED headlights. New Peugeot 308 GT Line models add the following to Active and Allure models: Sports styling with skirts and 18" Diamant alloy wheels, tinted rear windows, GT carpet mats and interior styling, aluminium effect door sills, gloss black rear diffuser, twin exhaust tailpipe,, massage function for front seats and passenger seat lumbar adjust. More new Peugeot 308 models and deals are available, visit the UK Car Discount website for more information.